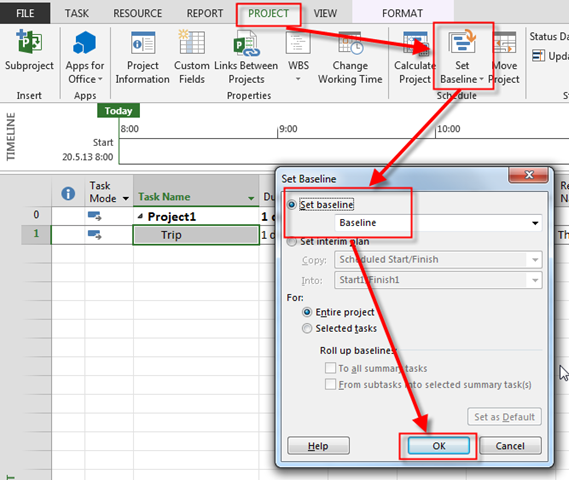 ← Resources and Over allocation in MS PROJECT 2013! I defined a cost resource “Hotel” and a work resource “Thomas” with hourly rate of 50 USD. For both of these resources I selected the accrue at “Start”. I defined a task of 1 day duration and assigned Thomas to it. I also assigned 200 USD of Cost Resource “Hotel” to this task. Then I saved the baseline with baseline cost of 600 Dollars. When I make the task 50% complete, the Actual Cost only shows the Cost of work resource. Even when the task is 100% complete, the actual cost only reflects the cost of work resource. The behavior remains same even if the accrual method is changed to “Prorated” or “End”. I wrote about this issue long time ago. From Microsoft point of View this is not a bug! From mine, it is. But, guess what. There is a workaround. Now, I am going to make Thomas, and Hotel as resources. You can see that Actual Cost is $400!. Why? Because Tomas has Accrue at = Start, and that means that when the Task is completed even 0,1% MS PROJECT calculates 1 day = 8 hours = 8 hours * $50 = $400. Everything looks fine now. Boring? Yes it is I know. 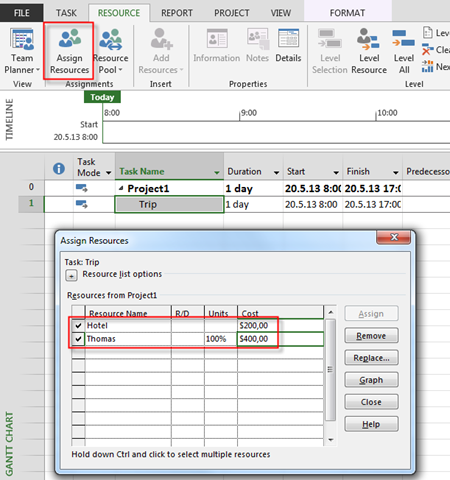 The interesting thing is that if you assign only Cost resource to the Task, everything works fine. Tri it! 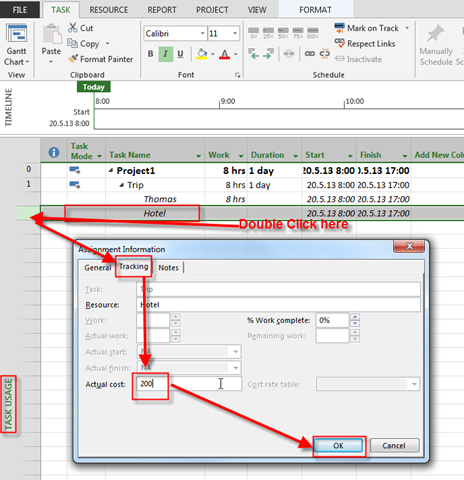 This entry was posted in MICROSOFT PROJECT, Microsoft PRoject 2010, Microsoft Project 2013, PMI, PRoject Management and tagged Microsoft Project 2010, Microsoft Project 2013, MS PROJECT, MS PROJECT - Resources. Bookmark the permalink. very useful, thanks friend, I didnt know how assign the actual cost for the tasks.